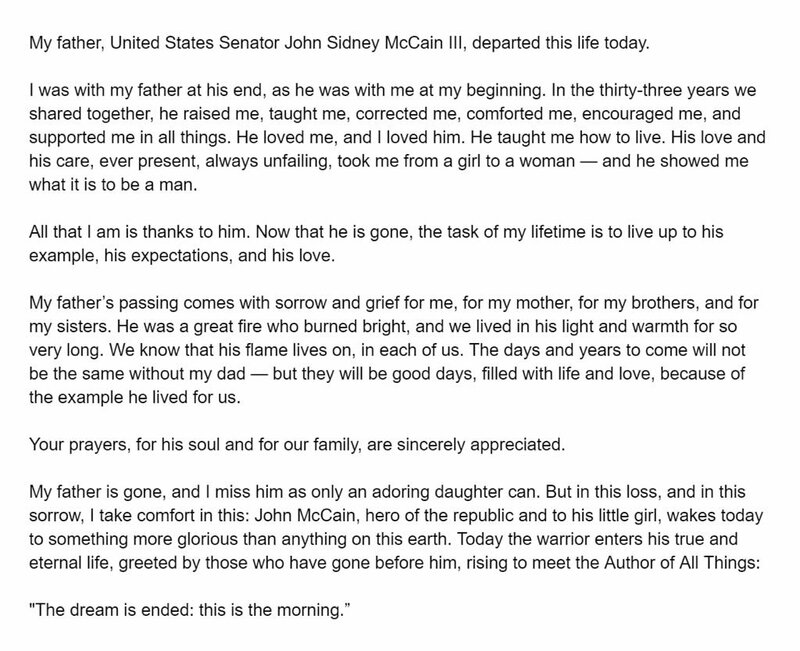 Long serving Senator John McCain has passed away. This independent GOP maverick died of brain cancer. 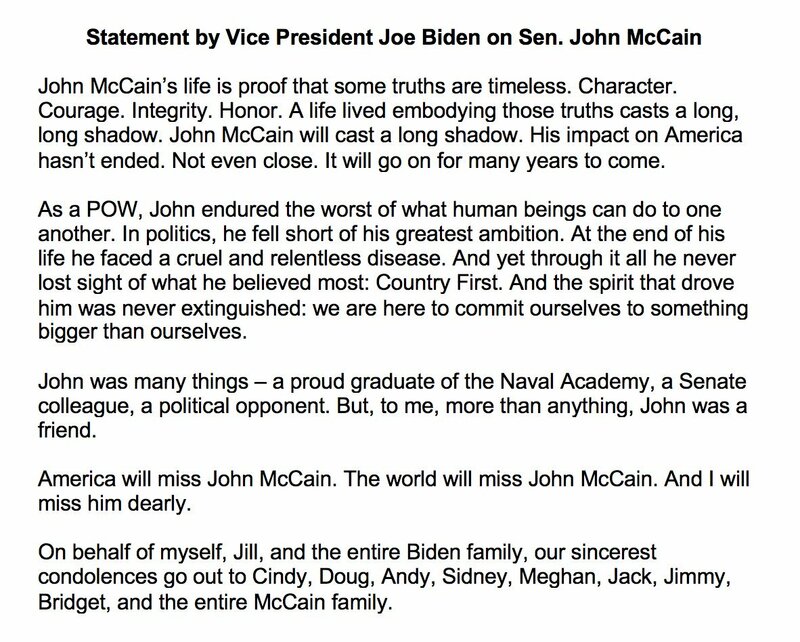 McCain’s office said in a statement “Senator John Sidney McCain III died at 4:28 p.m. on August 25, 2018.” He announced on July 19, 2017, that he had been diagnosed with a glioblastoma, an aggressive type of brain tumor. On Friday his family announced he was discontinuing treatment. Meghan McCain shared a sweet message to her father. Next Post Eminem drops new album “Kamikaze” STREAM IT NOW!